Decorating is one of the best parts of settling down in a new place. From picking out a new color scheme to finding the right accent pieces, finding ways to showcase your personality is what makes a space feel like home. Looking for a unique way to display eclectic art or personal photographs? Create a gallery wall to make a colorful statement to guests about who you are and what you like. Before you start planning your next masterpiece, don’t forget to check with the property staff about the hanging and mounting policies. Here are a few tips to consider during the planning and execution stages of your gallery wall. Formal vs. Casual – Before buying any supplies, decide what message you would like convey through your gallery wall. If you’d like to have a more formal set up, use matching frames and hang them symmetrically. Looking to give off more of a casual vibe? 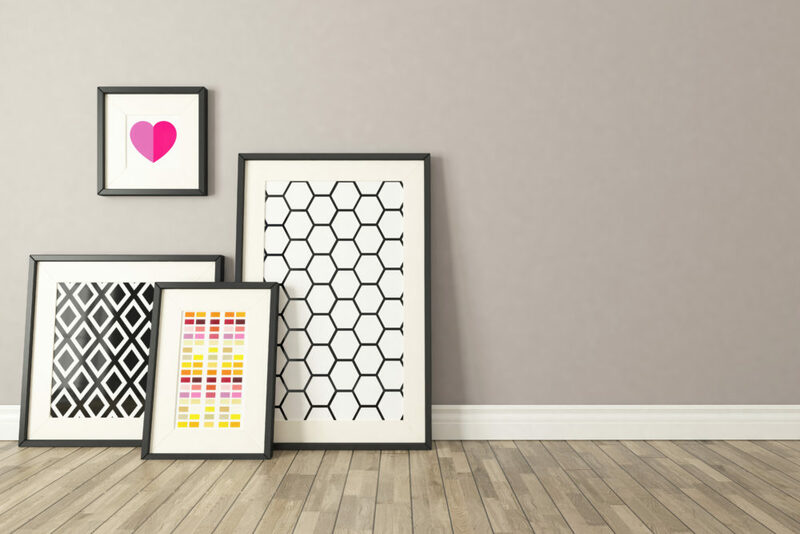 Use different frames in different sizes in an uneven but equally-spaced shape. Plan Your Layout – Use paper templates and tape to test out the spacing and placement of your frames. This can avoid unnecessary work on your part, as well as wasting supplies. By planning ahead, you are able to see what pictures work well together and what frames could use a little extra space between them. Consider Lighting – While finding the perfect spot in your apartment for your gallery wall is important, be aware of how light and shadows can affect your work of art. Avoid choosing a spot in direct sunlight, as this could fade the color of a picture or a print over time. In addition, direct sunlight could cause a glare against the glass that could make it hard to see or read what is in the frame. Secure, Secure, Secure – Be sure to use the proper hooks and materials when hanging your frames. Use strong hooks for heavier pieces that can easily handle weight without damaging the wall or surrounding areas. If you have lighter pieces, double-sided Command tape is extremely handy. If your gallery wall is close to a door that is frequently opened and closed, add extra security with adding tape to the corners. 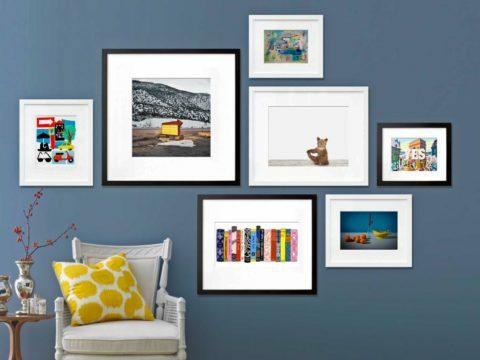 The smallest amount of movement can cause pictures to shift and result in a sloppy-looking gallery wall. Tweak As Necessary – The great thing about a gallery wall is how versatile it is. You can easily swap out pictures if you decide to change the color or decor theme without having to buy tons of new pieces. Substituting a picture or painting a frame are small changes that can make a big impact. Also, you can update the wall with festive touches during a holiday or celebration to make the most out of your space with little mess left behind. For more tips on sprucing up your apartment, contact us today!